I'd say go for it @redstar77 whose clear bases look way better than those black bases. Yes, they look really good! The black bases like me also good. But because lack of place, it would be better to have this clear bases. One could make one to two figures more per shelf. I had to watch how I could order this basis. Looks a bit difficult with all this Japanese letters. For those who are interested, I have seen on this page sellinglist.auctions.yahoo.co.jp/user/rwyt35klmn2 some beautiful homemade figures. Very nicely done! I checked following site, cause I am Japanese and understand language. Looks like this seller does not send item to US. Only Japan. if any questions, please let me know. Thank you. I'm a DBZ figure collector, especially Banpresto. Based in Japan. [br]Favorite online shop : http://auctions.yahoo.co.jp, http://www.amazon.co.jp, http://gashapoon.com and etc. Hey guys, question for you. I bought some items from YAJ using J-Subculture. Apparently, they made a mistake when writing down the recipient information and the tracking number shows the parcel is being returned to the sender (EMS). I contacted customer service and they told me once the package gets back to them, they can re-ship but I would have to cover re-shipping fees. Has anybody had this happen to them before? I searched but could not find information related to this. Thank you king, I am not sure what the problem was but the address/name and other details were correct. They never told me why the package was returned, but they were nice and ended up covering the shipping charges again. Thank you anyway! post was created 2014 lol. I've been wanting to get on Yahoo Auctions for awhile now. Yes I currently use Buyee. They do good business. i can second buyee, love it. I've never bought from yja before. 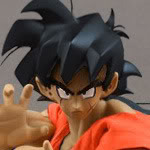 Right now there is a listing for Goku super master stars all 4 of the original variants for 40,000 yen. The picture us of the lottery release so they are genuine and I've ended up with a fake manga dimensions off the Internet last month. How much is shipping likely to cost me? What should the condition be like since all sellers seem to state used no refunds? I can barely understand reading on buyee. My other option is mandrake but they only have the original version and the description us used twice paste pain. 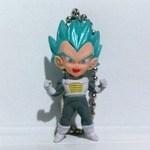 I've only used Buyee one time, and the good deal I got on an Ichiban Kuji Oozaru Vegeta only ended up being $20 worth of savings from getting it (comparably) very simply off ebay. Considering the amount of time I spent learning about Buyee and Yahoo Japan and how stressful it was to actually do it and select a shipping option and hope and pray that the shipping price wouldn't be extremely expensive... I think I would have preferred to just spend $20 more and have gotten it off ebay and known exactly what I was getting into. In my personal opinion, unless it is something impossible to find on ebay (such as a DBZ item like a Japanese shirt that isn't likely to end up on ebay, or DBZ tin of cookies (not sure if food can even be mailed actually...? ), or old figure from the 1980s) I would not use YJ or Buyee to get it. For me, it's not worth the time and effort just to save a little bit of money. For me, ebay is safer, familiar, and I am not depending on a middle man (Buyee) to get what I want. Since what you're wanting has been released pretty recently, I would just get it off ebay or an online store like eknightmedia, bigbadtoystore, toyzinthebox, or Xavier Cal. But that's just my opinion. I went for it using Buyee, as it worked out cheaper than eBay. The only issue I have is the package is too big for SAL small package. I'm happy to go with Seamail as I don't mind waiting a month, but they warn about damage to due long term shipping. Has anyone chosen Seamail before & what happens? I can afford SAL or Seamail, but don't want my figure to turn up damaged. You can always choose to "add protective packaging" for a small fee before shipping. I have used SeaMail. my package arrived in good condition. Thanks doomprevails, did you add the protective packaging? No. I actually never have. My items are usually loose figures and not very fragile.